Woodbridge, Ontario, Canada (October 16, 2018) - AIM VASSER SULLIVAN (AVS) is a newly formed motorsports entity that includes AIM Autosport, a championship-winning organization, partnering with IndyCar winning team owners Jimmy Vasser and James “Sulli” Sullivan to campaign two Lexus RC F GT3 race cars in the GT Daytona (GTD) class of the IMSA WeatherTech Championship beginning in 2019. 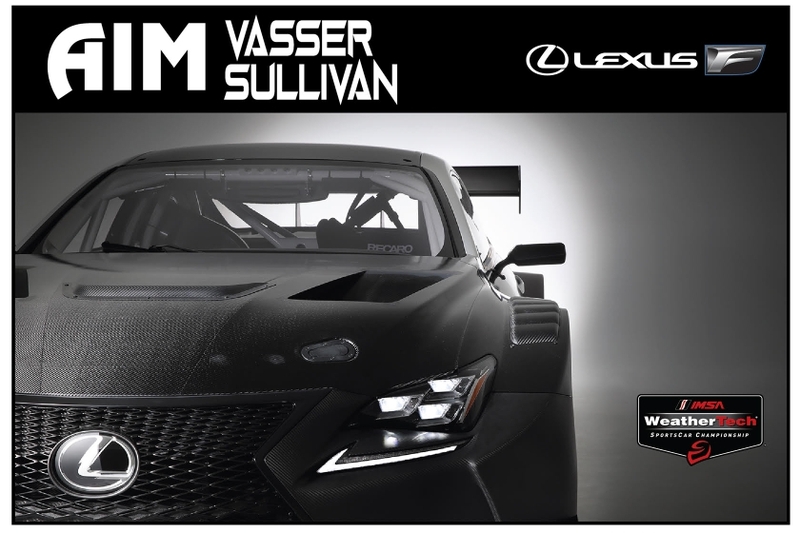 AIM VASSER SULLIVAN (AVS) is a new professional racing team competing in the GTD class of the IMSA WeatherTech Championship with two Lexus RC F GT3 entries. AVS is owned by AIM partners Andrew Bordin, Ian Willis and Keith Willis, and Vasser-Sullivan Racing partners Jimmy Vasser and James ‘Sulli’ Sullivan. AVS leadership has a combined 100+ years of experience in operations, engineering, marketing and racecraft. AIM Autosport formed in 1995 and have been winners in every category of open wheel and sports car racing they have competed in. AIM has multiple race wins, plus overall team, driver and manufacturer Championships in both Grand AM and IMSA competition. Vasser and Sullivan were allied and partners from 2011-2016 with KVSH Racing in the IndyCar Series. In 2017, Vasser and Sullivan established Vasser-Sullivan Racing to compete in the IndyCar series. In 2018, they formed a partnership with Dale Coyne to establish Dale Coyne Racing with Vasser-Sullivan to compete full time in the IndyCar Series Championship. In its first year, the team earned multiple podiums including winning the Grand Prix of St. Petersburg, and finishing seventh in the 2018 championship standings.